The intended heartfelt statement didn't sit well with many fans of the show. Netflix officially announced it's canceling “One Day at a Time” on Thursday, after three seasons, and the internet wasn’t happy. The show was a reboot of the 1970s comedy “One Day at a Time” which was co-created by Norman Lear and starred Valerie Bertinelli and Bonnie Franklin. The show, created by Gloria Calderon Kellett and Mike Royce, followed three generations of a Cuban-American family: A newly-single mother and military veteran (Justina Machado) is raising two strong-willed millennial children (Isabella Gomez, Marcel Ruiz) with the help of her old-school mother (played by Rita Moreno) and building-manager-turned-friend (Todd Grinnell). Stephen Toblowsky also starred in the show. The reimagined show tackled mental illness, immigration, sexism, homophobia and racism that Latinos living in the United States face. It was one of the few TV series with Latino actors in lead roles that was executive-produced and produced by Latinos. Netflix sent out a series of tweets explaining their reasons for canceling the show. The intended heartfelt statement didn't sit well with many fans of the show, prompting the return of the #RenewODAAT campaign. Among those heartbroken over the news was one of the show's executive producers, Norman Lear. Rita Moreno, who played Lydia, also grieved the cancellation. So did Justina Machado, who played Penelope Alvarez. And so did Todd Grinnell, who played Snyder, neighbor and the superintendent of her apartment building. The cancellation doesn't come as a complete surprise, as the show nearly met its end after the second season back in 2018. Thanks to a persistent social media campaign and positive reviews the show was renewed for a third season. After the third season dropped, Kellet made it clear that there needed to be more eyes on the show. Despite the cancellation, Kellet and Royce are still optimistic about the future. 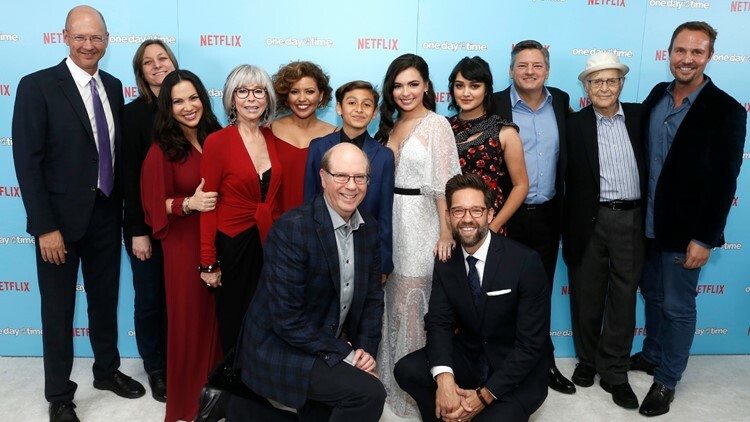 They issued a joint statement saying that they are shopping the show around and hope to find a new permanent home prompting the #RenewODAAT campaign. This could be an issue as Netflix does own the rights to the first three seasons. Whatever happens, the show is still available on Netflix for streaming.